So much raves I heard about Bag of Beans, it may always be positive to some but this time when we tried taking home a bag of whole bean in mocha. We brewed it with mineral water and added a small dash of brown sugar. 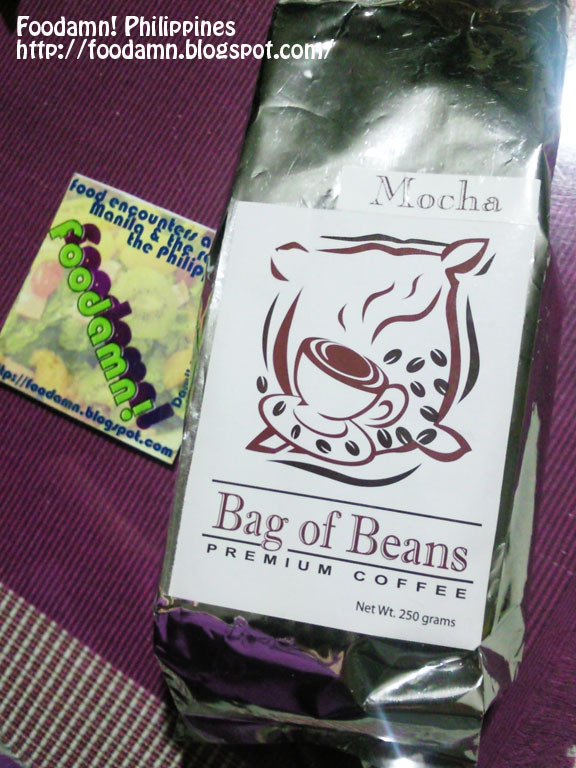 I find it too sweet and the aroma of coffee was overpowered by the chocolate flavor, it wasn't the thing I expected. I like more the bitter-taste of instant coffee especially the Great Taste Strong flavor or the Arabica whole bean coffee of Starbucks. The tablea, have you tried boiling 3 pieces in a 1 liter mineral water, add with fresh milk and brown sugar. Its like remembering your old ones preparing it for us when we were still kids. Love it in the morning or afternoon, paired with otap or alfajor or garlic bread. We also used this in champorado. The chocolatey flavor and heavy texture of tablea will surely rock your champorado. 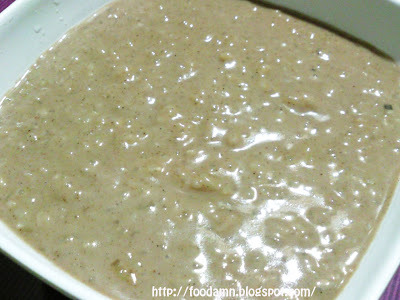 They say, champorado will even taste better if you mix it with coconut milk while cooking. I haven't tried it yet, maybe next time. Thanks to Imriz for the suggestion on how to make the champorado with coconut milk :) It really was very creamy. cook the sticky rice (malagkit) w/ coconut milk (instead of water)...mas creamy ang champorado that way...my kids loved it. 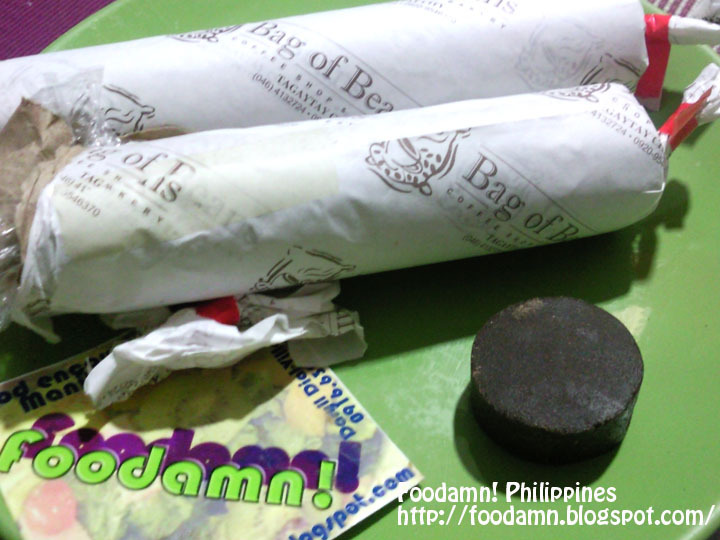 also, i checked on ur alfajor post...un pala un, hehe...ube at legua kz ang bdinadayo nmin sa good shepherd.